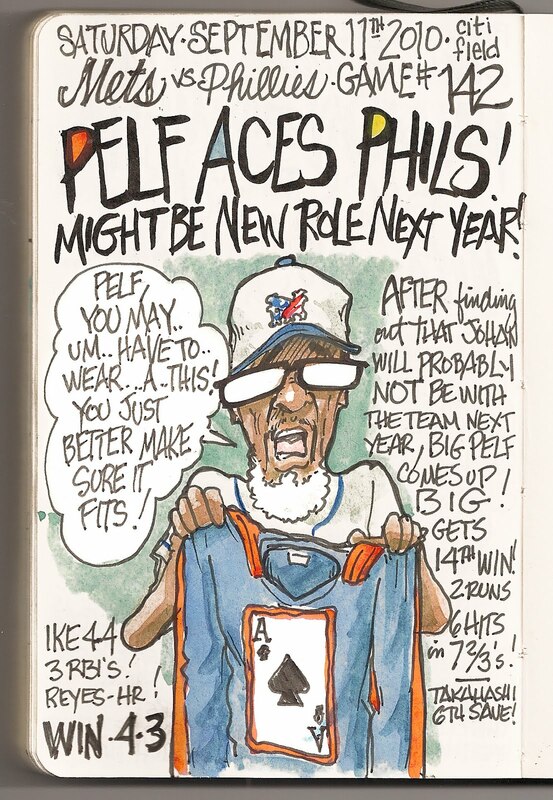 My Mets Journal: Pelf Aces Phils! Not much seems to matter much any more. Season is basically done for us. I guess preparing for a season that might NOT include Johan is something to think about. 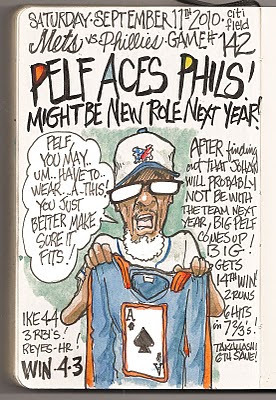 If The Mets can just find a new head for Pelf in the Of-season we should be OK for a while. You can't replace a Johan Santana with any one. You just have to learn to live without him the best you can. It's nice to know that 2011 is starting off so nicely. I think that Pelf turning his back to Jerry when he was taken out of the game speaks volumes. 20 Games To Go Joe. Fire Jerry and call up Wally! The Cyclone's season will be over one way or the other by the end of the week and Wally will be freed up to move from Brooklyn to Queens. Wally!